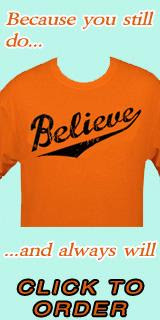 The Baltimore Orioles got back into the win column as they defeated the Boston Red Sox on Tuesday night, 4-1. Well, the game was impressive as I attended in person and got to see a win. It was a glorious night to catch a ballgame, and the rain was nowhere to be found. The big news of today out of Birdland was that Brian Roberts – yes, the second baseman – will start a rehab assignment in Bowie starting on Wednesday according to Britt Ghiroli from the Orioles.com website. I’ll have more in the morning, and I’m spilt on his potential comeback and how it will affect the team. I’m happy for him and glad to see him back playing competitive baseball. He has been looking good out on the field – at least from what I’ve seen on tape – and perhaps the worst with the concussion issues are over. He has worked hard to come back, and we should be commending him. Obviously, Roberts has been through a lot. Who knows how long it will take for him to get to the majors and what Roberts’ role will be. Perhaps for a change, he will be on a contender this year and serve as a spark plug for the Birds. Brian Matusz – who has been through times of trouble until the last month – won again as he perhaps pitched his best game of the year, going 6 1/3 innings and giving up only one run. Matusz threw well on the night, and he looked like the pitcher we saw at the end of the 2010. He was dealing to the powerful Red Sox lineup, and his only real mistake came in the fourth inning as Kevin Youkilis took him deep with a solo home run. Other than that, he looked like an ace on the mound. His night was devoid of any real critical issues, and Matusz left to a wonderful ovation by the Camden Yards faithful. He has won four out of his last five starts, and his record is now 4-4. Felix Doubront for the Red Sox took the loss. He pitched well, but gave up two runs in six innings.